Using bikes, sharing rides and public transit are just some of the green alternatives to driving a car alone. A bike locker is a secure, weatherproof way to store your bike while you complete your trip on a bus, carpool or vanpool. For a key and unlimited use of a bike locker, you would just need to pay a refundable deposit of $75.00. 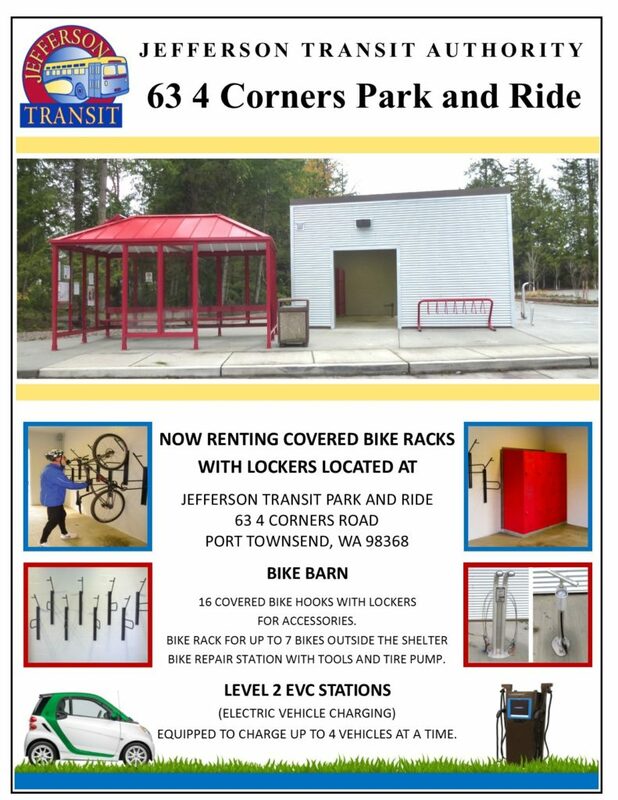 There are 10 lockers located at the Haines Place Park & Ride and 4 lockers at the Jefferson Transit depot. For more information and to check the availability of obtaining a bike locker, please contact Fleet & Facilities Manager by calling 1-360-385-3020 x. 117 or by sending a message in the form submission area. Please click on the links for an informational flyer, guidelines and agreement. Thank you.